We are Market Leaders in the service industry with a 4.9 rating on Facebook & Google. 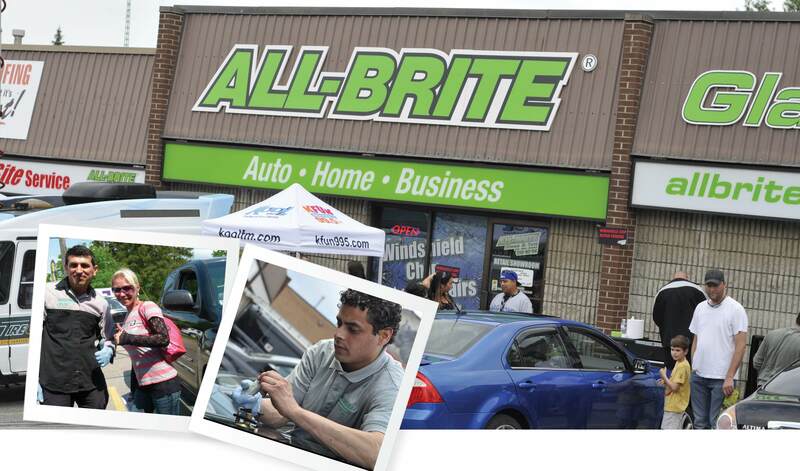 With generations of experience delivering the highest quality service available to over 10,000 customers, Allbrite Glass & Tint provides Auto, Home, Business Glass & Tint and is fully dedicated to maintaining its position as Kitchener-Waterloo, Cambridge,Guelph, Woodstock Regions #1 rated service company. We are looking for highly technical, Flat Glass Service Technician/Glazier Expert who like to help people and can sell service. Flat Glass Service Expert determine service needs, quote prices, and perform repairs. Employees must be able to interact and communicate well with clients in their homes and businesses. Ideal candidates will understand, Repair/replace Commercial, Residential, Heavy Equipment, RV glass and glazing systems i.e. commercial doors, store fronts, thermal pane Measure, fabricate and install mirrors and glass. SIGN ON BONUS for Experienced Senior Autoglass Technicians – Apply for more details. Must possess own tools necessary to complete a Glazing diagnosis and repair. Applicants must have a current driver license and a good driving record as they will be driving company vehicle to customer's homes and businesses. Typical work week is eight to ten hour workdays five days per week with rotating Emergency after hours work, as well as early and/or late weekday meetings with customers, vendors and staff personnel as needed.